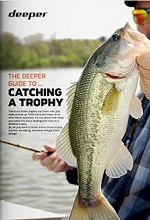 To Catch Them AllFish with Deeper! Deeper Sonars use a Wi-Fi connection to pair with your smartphone or tablet. This gives a powerful, stable wireless connection and the best casting range of any castable fish finder (Deepers work like a Wi-Fi hotspot - you don't need an internet or mobile network connection). 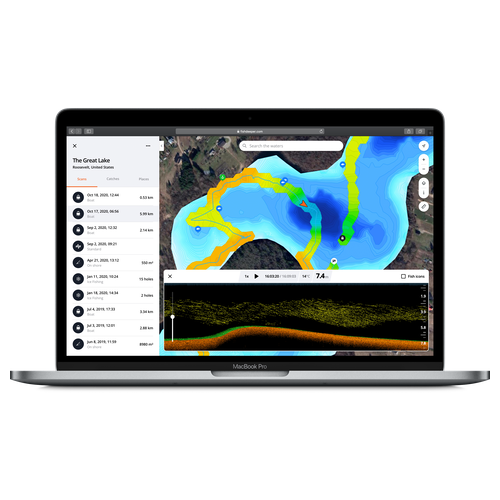 Deeper Sonars will show you depth, contour, fish location and much more. Find fish, locate hotspots, map your favourite lakes, then get straight into the action. Every scan and map is saved on the Deeper App, and available on any computer using Lakebook™. Now you can build up a detailed record of every location you fish. 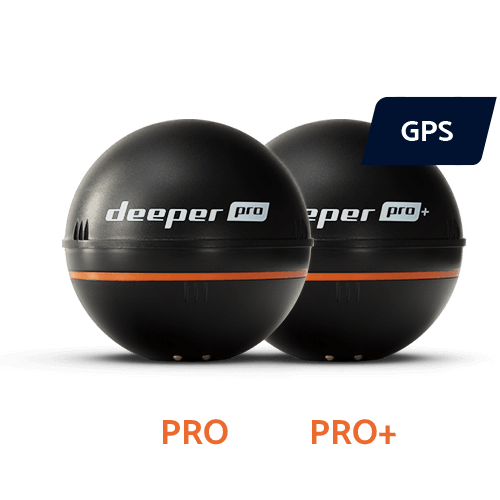 The PRO and PRO+ models are the highest spec wireless fish finders ever, offering powerful scanning and incredible versatility to shore, boat, kayak and ice anglers. 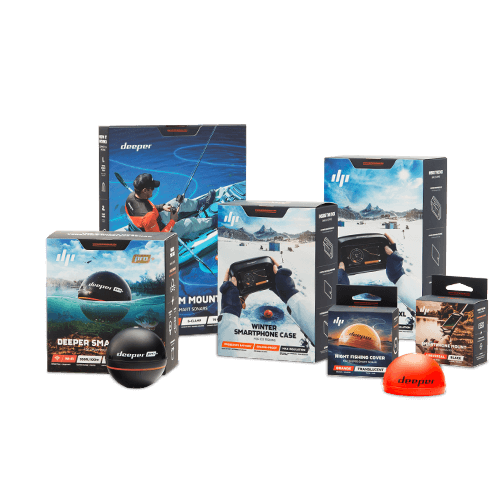 For kayak, boat and ice anglers looking for a powerful, portable sonar set up, plus the ability to cast from shore or boat. The world's only wireless fish finder with inbuilt GPS - for serious shore, boat and ice anglers who only settle for the best. Our castable fish finder designed for recreational fishing from the shore, dock or bank. Ideal for family trips, fishing with friends and casual anglers who want to determine great fishing spots, find fish, have fun and relax. Which Deeper is best for you? I have tried many fish finds similar to this, but this is by far the best sonar/fish finder on the market for the average fisherman. Whether from a small rowboat or the shore, it will help your fishing and catch rate tremendously! I highly recommend this product! This is absolutely amazing! I've used it in the ocean and in a pond. The depths, temperatures, plant life and most importantly, fish life, are displayed on my phone. There are so many great features - love this product! ...we’ve always got something fishy going on! Subscribe to get our deals, news, and giveaways.